6- Very comfortable in use, our clients are testimonials about our working and quality. 9- Our products are competitive and beautifully designed under well professional works. and we will be glad to support them and instruct them according to their needs. 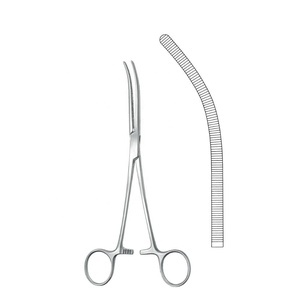 Hemostats forceps hemostatic clamp arterial forceps includes curved and straight serrated hemostat High Quality Stainless Steel. Company Profile Jackbilly Enterprises opened its door in 2010 and stepped into international Market with aspire of "Customer Satisfaction". 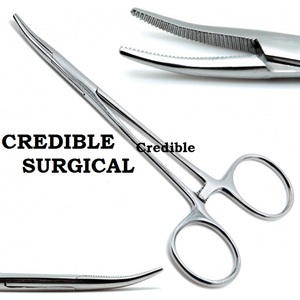 We produce high quality Stainless Steel products of Surgical Instruments, Dental Instruments, Beauty Instruments, Bone Surgery Instruments, Diagnostic Instruments, ENT Instruments, Eye Instruments, Neuro Surgery Instruments, Manicure & Pedicure Instruments, Tungsten Carbide Instruments, and Urology instruments. Focusing on both Retail and Professional market, Jackbilly Enterprises is gazing on the individual's needs for the coming era while believing there is no end line in business. Medical Haemostatic Mosquito Forcep Material: High Quality Stainless Steel Rusting Prevention Procedure: Passivated Ultrasonic Cleaned: Yes Polished: Yes Sand-Blasted: Y es Satin Finish: Yes Tests Performed: Boil Test, Performance Test, Shape Test QC Passed: Yes Product Images Packaging & Shipping Standard packing & customer requirement we can implement customer logo on each Instrument and also can pack in customer required packaging like Poly Bag, Blister with Cards, PVC Pouch, Leather Bag, Boxes etc. 1. We can provide you best quality with customer satisfication 2. Prices & Samples Available on demand 3. Offer OEM service 4. All queries answered on priority basis with time deliveries 5. Own production unit from Raw material to Packing 6. Small & Bulk Order Accepted 7. 24/7 Customers service 8. Custom Instruments facility according your drawings or counter samples. Right Industries Fundamental Information Company Postal Addres - Ballanwala Machi Khokhar Road Sialkot Pakistan 51310 No of Employees - Upto 80 Persons Factory Location - Ballanwala Machi Khokher Sialkot Pakistan Factory Size - Up to 5000 Square Meters Nearest Port - Sialkot Air Port Legal Owners - Mr.
Alibaba.com offers 2,358 artery forceps products. About 39% of these are the basis of surgical instruments, 1% are abdominal surgery equipments, and 1% are obstetrics & gynecology equipments. 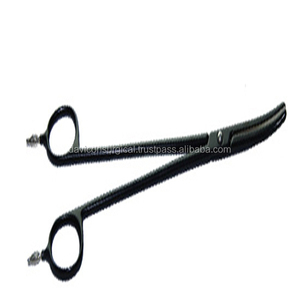 There are 2,232 artery forceps suppliers, mainly located in Asia. The top supplying countries are Pakistan, China (Mainland), and India, which supply 91%, 6%, and 1% of artery forceps respectively. 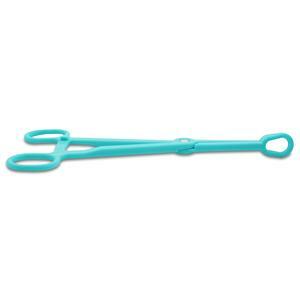 Artery forceps products are most popular in Western Europe, Eastern Europe, and North America. You can ensure product safety by selecting from certified suppliers, including 774 with Other, 537 with ISO13485, and 252 with ISO9001 certification.